Tori Praver: The Hawaiian Model and Bathing Suit Designer Invites Us Into Her Future Plans of Jewelry Design, and Beyond. Kim Kardashian in Monaco with Fiance, Kris Humphries, Flashing Her New $2 Million Engagement Ring designed by Lorraine Shwartz. Kardashian’s Engagement Ring sparkles with a 16.5-carat emerald cut center stone, flanked by a pair of 2-carat trapezoids, with a total weight of 20.5 carats. While the media isn’t giving this couple too much credibility, it seems that there are some tell tale signs that we are seeing a true love story as opposed to the claims that the Sports Star was paid to marry Kim Kardashian, or that the new Bride purchased the ring herself. (Which she could have, and more power to her just for that ability!) 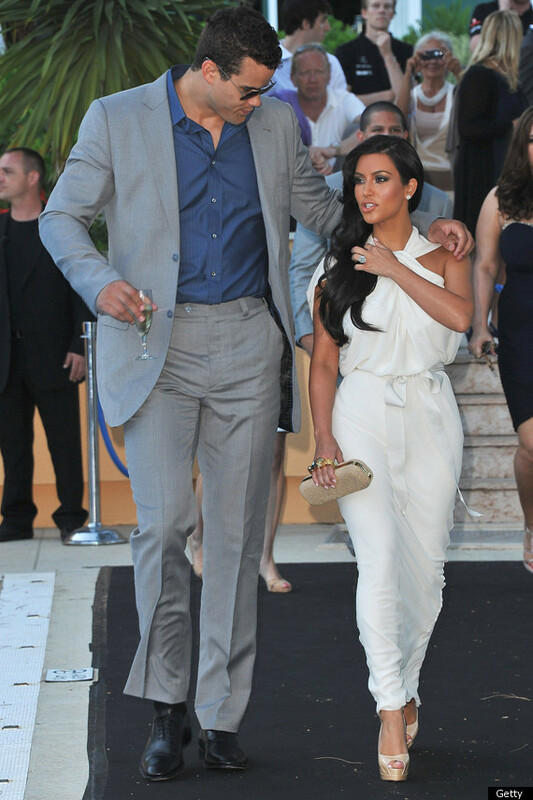 Kardashian never flaunted Kris Humphries around like arm candy, not was she exceedingly public with their romance or obsessed with his appearance publicly. Kim Kardashian‘s stunning 20.5-carat engagement ring is obviously big. It’s so big, in fact, that husband-to-be Kris Humphries was able to include several inscriptions on the inside of the sparkler. “It’s engraved, with two things from the Bible,” Humphries tells PEOPLE. “There’s one verse [Proverbs 31: 10-31] about the perfect godly woman,” he explains. “The other, [1 John 3:18] is about love. It took me … a few days to pick them out and research the perfect ones.” In the middle of the two passages is a third inscription, “K [hearts] K,”standing, of course, for Kris and Kim. Christina Applegate is a proud new Mommy of baby girl, Sadie Grace. The Actress who most recently has been recognized as the main character in ‘Samantha Who?’ is about to star in a recently picked up sitcom for NBC, ‘Up All Night.’ The show will premier this Fall, and while admittedly exhausted from her first few months of Motherhood, Christina Applegate says she is excited to be back to work. Fiance Martyn LeNoble and Christina Applegate had their first child, Sadie Grace on Thursday, January 27th, 2011. An Event was held in New York yesterday by NBC at the Hilton Hotel. The NBC Upfront Presentation celebrates the new and returning shows to potential advertising clients. Applegate arrived in a classic and understated style. She wore a knee length white and beige dress with a matching cardigan and brown leather belt. The simple jewelry and light wedged shoes completed her classic look. The upcoming comedy pairs the actress alongside former “Saturday Night Live” player Maya Rudolph and “Arrested Development” funnyman Will Arnett. Christina stars as public relations executive Reagan in the show, Will plays her stay-at-home husband, Chris, and Maya plays Reagan’s outlandish boss and best friend, Ava. Founded by Jewelry Connoisseur Tracy Smith, House of Lavande is a vintage couture jewelry collection that includes a vast variety of jewelry, accessories and wearable art from throughout the 20th century. Established right here in Palm Beach County, the vintage jewelry collection has been flourishing in popularity over the past five years. The fan list of House of Lavande includes many famous faces, celebrities well-known for their signature and stand-out styles. Clients to House of Lavande include, just to name a few…Alicia Silverstone, Lauren Conrad, Jessica Biel, Cameron Diaz, Jennifer Lopez, Ginniger Goodwin and Elizabeth Banks. Isla Fisher, whom I adore completely, feels the same way about House of Lavande. Here, Isla Fisher wears a Tory Burch her natural golden red waves with contrasting purple crystal and diamond statement earrings by House of Lavande. Alicia Silverstone, new Mother to son Bear Blu (a name that currently has chills running down the spine of sons world-wide, being dubbed by the Blogosphere Inhabitants as ‘The Worst Celebrity Baby Name Ever) is a proud supporter and long-term client of the vintage jewelry collection of House of Lavande. She promotes the wearing vintage jewelry nearly as much as she supports living a strictly vegan lifestyle! Pictured above, Alicia Silverstone promoted her new book, “The Kind Diet” in Los Angeles just six weeks ago. Preparing for Motherhood, a pregnant Alicia wore a loose fitting Rebecca Taylor dress, shoes by Aldo and accessories by House of Lavande. It’s the first child for the Clueless star, 34, and her husband Christopher Jarecki. The pieces carried by House of Lavande in their extensive collection of various designers and time periods spans the many renowned decades of fashion, featuring distinctive pieces from famous designers such as Chanel, Elsa Schiaparelli, Kenneth Jay Lane, Yves St. Laurent and Christian Dior. Victorian Chanel set buckle bracelet $1,148. Unsigned gold filled bangle $648. Victorian thick clear chanel set bracelet $1,148. Unsigned gold filled bangle $448. Once upon a time, our mothers always told us, “Less is more” or “Always remove one accessory before leaving the house” Well these days, the exact opposite applies. Especially with jewelry! Obviously we couldn’t be happier about this. One of our favorite looks that at least one of us is wearing on a daily basis is the layered bracelet.